Farsight Securities is a key player in the stock market with hundreds of Farsight Securities Sub Broker working under them across India. Farsight Securities have helped investors who want to become rich and achieve their financial goals. 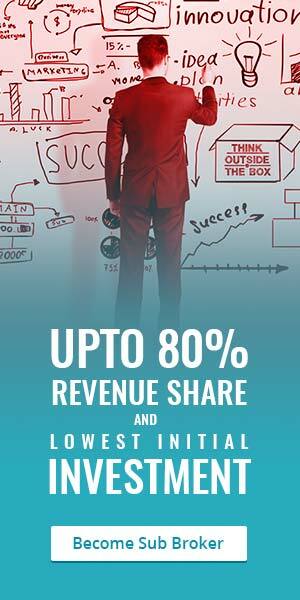 It has become one of the most successful sub-broker firms in New Delhi and has attracted a large number of sub-brokers because of its unique value proposition. It is known for providing excellent customer services to investors. Here in this article, we give you the review of Farsight Securities and the analysis of the sub-broker offers, security deposit and infrastructure requirements, franchise revenue sharing models and the benefits for sub-brokers. With this information, you will be able to take a better decision in choosing the right firm for your sub-broking aims. The customer rating of Farsight Securities is 2.3. This is a slightly below average rating provided by customers. This means that the customers are satisfied with the customer services, training, and marketing support. The firm has an unusually high-rating for its revenue sharing models. The overall average rating of Farsight Securities is 3 taking into consideration various factors such as revenue sharing model, security deposit and customer experience. Farsight Securities is a full-service broker that is headquartered in New Delhi. Naresh Chand Maheshwari founded the company in 1995. It is a public company and operates as a full-service broker. Since then, the company has served its investors well increasing their returns multifold. The sub-broker activation time for Farsight Securities is 3-5 weeks days. The average payout time is 33 days which is better than most sub brokerage agencies. As per Farsight Securities Master franchise program, sub-brokers can operate offices under the firm’s name. They can also lend out services to other sub-brokers under the name of Farsight Securities. This will help the sub-brokers to scale faster in a short period. The sub-broker business of Farsight Securities allows individual brokers to work under the company name. This is a franchise model that acts like a monopoly business in which multiple brokers can do work in the same workplace. The commission for the master franchise under the Farsight Securities ranges from 75% – 85%. The commission for sub-brokers under the Farsight Securities range from 50% – 70%. The commission for Remisier program is Rs 10,000. This amount can vary based on the amount of security deposit available with the company. Sub-brokers are required to deposit security amount to gain license under Farsight Securities brand name. For the sub-broker business model, you will need to invest Rs 2,00,000 – Rs 6,00,000. For the sub-broker business model, you will need to invest Rs 50,000. For sub-brokers who want to have higher revenue share, they are required to invest Rs 1,00,000 as security money. This initial investment is fully refundable and will be returned to you if you decide to opt out of the licensing program. The investment for Remisier program is Rs 1.100. This amount will be kept as a security deposit to enable you to carry on the work of referring new customers to the company. The following infrastructure needs to be present to attain a Farsight Securities sub-broker license. These are the most basic requirements for running any office. The Farsight Securities infrastructure requirements can be met with minimal investment. Farsight Securities provide one of the best offers for sub-brokers that energizes them to become high performing investment managers. Below are the offers provided by the company. The main advantage is that the company does not require Rs 10,000 initial deposit and other constraints like flat revenue sharing model. The more you perform, the more you can earn with Farsight Securities. However, it does not provide dealing training and acquisition training. This will have to be managed by the individual sub-broker. Equity Delivery is charged at 0.35%. Equity Intraday delivery is charged at 0.04%. Equity Futures is charged at 0.04%. Equity Options delivery is charged at Rs.75 per Lot. Currency Futures trading is charged at 0.04%. Currency Options trading is charged at Rs.50 per Lot. Farsight Securities charges to clients are very minimal compared to that of other brokers in the market. This has been the main selling point for the company’s excellent services. Demat AMC is a minimum at Rs 399 per annum. The trading AMC is free of cost. The account opening charges are Rs 250. The transaction charges are at 0.00325%. The margin money is at Rs 1,000. All in all, Farsight Securities is the best place for sub-broker wanting to make a mark in the investment broking sector.